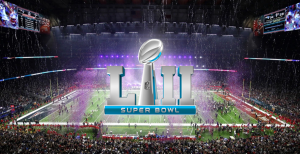 THE 2018 SUPERBOWL! Live and loud at the Petersham Inn on Monday 5th Feb 2018 at 10am! Join us and watch Philadelphia Eagles vs New England Patriots!